The Midvale Cottage Post: Mid-1950s Evening Tunic and Slim Skirt - Exotic! 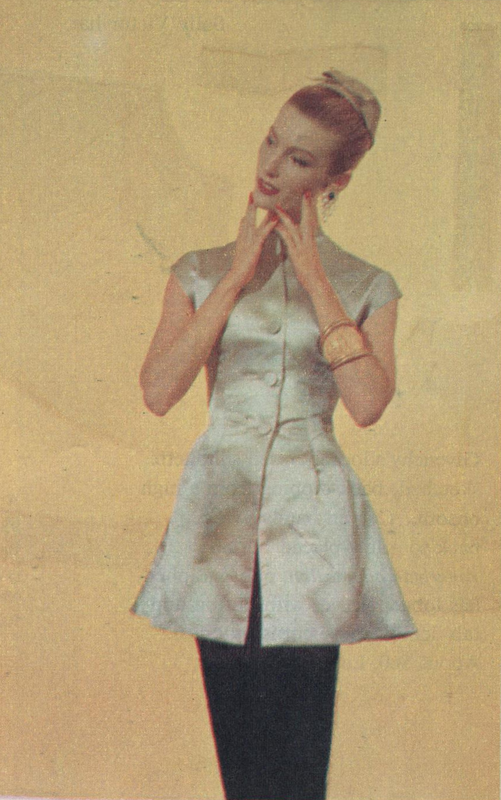 This tunic blouse from 1955 is sewn in pure silk satin for late day or evening. The slim skirt is of velveteen. Très élégant!